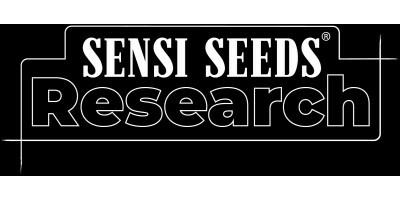 Sensi Seeds Research is a new line of hybrid cannabis seed strains. They were launched in April 2019. The Sensi Seeds Research breeding project has created eleven cannabis seed varieties. How? By combining new cannabis cultivars with a selection of strains from our long-established cannabis gene bank. Sensi #34 Auto CBD (Sensi Skunk x CBD) – classic skunk crossed with a premium CBD cultivar for success at any experience level. Sensi #41 Auto CBD (Swiss Dream x Skunk #1 Auto) – bred for a very high CBD content without losing skunk vigour and flavour. 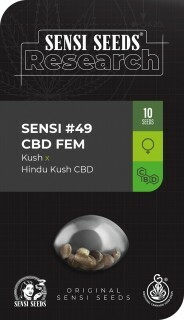 Sensi #49 CBD (Kush x Hindu Kush CBD) – the essential spirit of Kush in a form that concentrates on CBD production. Sensi #743 CBD (Black Domina CBD) – our original award-winning intense indica, now in a CBD dominant expression. These new breeds of cannabis combine legendary Sensi Seed Bank cultivars such as Silver Haze® and Black Domina® with tried and tested varieties that have emerged in recent years. Our breeders have chosen lines from the US with traits of exceptional strength and flavour – think Chocolope and Fire OG – and selected others with high CBD to THC ratios, such as Harlequin and Swiss Dream. We are very curious to see what kind of strain names these new tastes and fragrances will inspire! These strains are available in packs of one seed, as well as the usual three, five and ten seed packs. This makes it easier for you to pick and mix the genetics you are most interested in.